We are open today from 4-9pm, and our talented winemaker, Ben Stuart, will be teaching his fourth class in his wine school series this evening. We are celebrating in the tasting room with a 20% off special bottle discount tonight, custom tasting flights, glass pours and open bottle purchases. This is the fourth of a series of monthly, casual, and fun wine tasting classes our winemaker Ben is teaching. In the first class dove into the rhyme and reason behind making different wines at Burnt Bridge Cellars. Ben talked about things like balance, fact vs. fiction in wine descriptors, what environmental factors play a role in how a wine tastes, what he's looking to avoid, some of the fancy science names of certain flavors, and how to swirl, sniff and spit like a pro, etc. Class 2 was all about comparing Syrah as a single varietal. Ben chose single varietal Syrah wines from various regions of the world and did a blind tasting. The class voted for and ranked the wines individually, and as a whole class, based only on their sensory perception of each wine, with the label and price only revealed by Ben at the end. Class 3 was all about Cabernet Sauvignon. Each class is $25 per person. 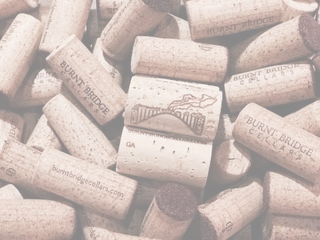 Please email ben@burntbridgecellars.com to sign up, as seating is limited. This fourth class and future classes will likely take a deeper look at varietals from around the west coast and beyond.